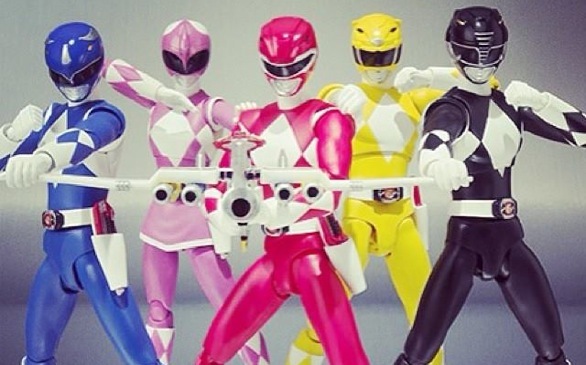 Hit 1995 movie Mighty Morphin Power Rangers will find itself on the big screen again as a Lionsgate reboot, reports E!. Kids who grew up in the '90s watching the teenage Pink ("Kimberly"), Yellow ("Aisha"), Red ("Rocky"), Blue ("Billy"), Black ("Adam") and White/Green ("Tommy") Power Rangers fight evil villains with their special super powers will be pleased to know the reboot will stick to the '93-96 TV show, re-envision the '95 film and feature a group of high school kids. The new film doesn't have a release date yet. Power Rangers creator Haim Saban reportedly said in a statement, "In partnership with the Lionsgate team, we're confident that we will capture the world of the Power Rangers and translate it into a unique and memorable motion picture phenomenon with a legacy all its own." In a day and age where reboots and re-makes seem to be all the rage (see Godzilla) and back-in-the-day superheroes seem to be more popular than ever (see The Amazing Spider-Man 2 and Teenage Mutant Ninja Turtles), the announcement of a new Power Rangers film in 2014 isn't all that surprising. In fact, it's pretty exciting, especially when we start thinking about casting...Who would you cast to play the rangers (and Zordon, of course) in the new Power Rangers film reboot? This article has been viewed 1594 times.